“If something major broke, I wouldn’t have the funds to replace it," said a manager of an affordable housing building for seniors in Florida. 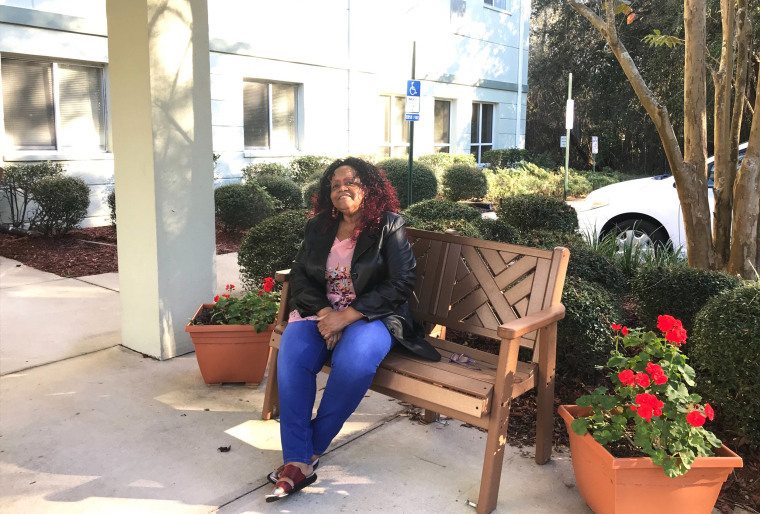 The government shutdown means that the long-leaking roof of San Jose Manor II Apartments won’t be replaced anytime soon, says Alma Ballard, who oversees the building for low-income senior citizens in Jacksonville, Florida. “That’s definitely not going to happen,” said Ballard, executive director of the nonprofit Family Housing Management, who said that water has at times dripped into some residents’ rooms. Ballard said Family Housing Management had been saving up for a new roof for the 50-unit government-subsidized property, but had to put the plans on hold because its contract with the Department of Housing and Urban Development was still in the process of being renewed when the shutdown began. The company never received its December and January payments from HUD, totaling about $40,000, immediately putting the property under financial strain. The few federal employees left at HUD have been scouring the books, looking for a last-minute solution to fund hundreds of affordable housing contracts that have expired under the shutdown. More than 200 of the contracts that expired in December are for properties, like San Jose Manor II, that provide rental assistance for the elderly, according to LeadingAge, an association for nonprofit providers of aging services. Known as Section 202, the program houses about 400,000 low-income elderly people as part of HUD's Section 8 Project-Based Rental Assistance as well as a separate HUD program. These tenants are particularly at risk during the shutdown, says Linda Couch, vice president of housing policy for LeadingAge. Despite its scramble for a fix, HUD has not been able to find any stopgap funding to support the Section 202 landlords whose contracts expired in December, Brian Montgomery, HUD's acting deputy secretary, told Couch in a call on Wednesday evening, according to her account. While HUD has identified buckets of money that could potentially be used to shore up other low-income rental assistance contracts, including those for disabled adults, HUD has not been able to do so for the elderly housing program because of restrictions on how previously allocated funds can be spent, according to Couch's notes from her conversation with Montgomery, currently HUD's second in command. “HUD has its back up against the wall and has really no good options,” said Couch, who fears the lack of funding could harm some of the most frail and vulnerable Americans. HUD did not directly address NBC News' questions about the shortfall of funds for the elderly. "HUD is actively resolving issues with these pending contracts with owners and identifying available resources for payment," Jereon Brown, a HUD spokesman, said in a statement. The affected properties include San Jose Manor II Apartments, whose management has already resorted to its reserve funding to make up for the missing HUD payments — funds that it had been planning to use for replacing the roof, a particular concern in the hurricane-prone area, Ballard said. Affected residents include Shirley Henderson, 69, who not only receives housing but also medical assistance at the building, thanks to a mobile health unit that checks her glucose and blood pressure, helping to manage her diabetes. “How long will it still be going on? Will something happen so that life can go back to the way it’s supposed to be?” said Henderson, tearing up as she described the other families across the country affected by the shutdown, whether because of missing paychecks or stalled home purchases. Henderson pays $232 in rent every month, which is about a quarter of her Social Security check, and she doesn’t know where she’d live if she had to leave the San Jose apartments. Ballard said the management is doing everything possible to shield its residents, and would ultimately appeal to the property’s sponsor, the Roman Catholic Diocese of St. Augustine, for a loan if it runs out of reserve funds. She said no tenants will be evicted as long as they continue paying rent. Ballard added that it's not unusual to experience delays in renewing contracts with HUD, so it wasn’t until after New Year’s Day that she realized there might be a problem, as an $18,000 HUD payment she expected was not in the account. San Jose Manor II Apartments has about $60,000 in reserves, enough to cover about two months’ worth of basic operating and maintenance costs, including utilities, staff payroll and trash removal. If the shutdown lasts that long, nothing would be left for emergency expenses, much less capital repairs like replacing the roof, Ballard said. “If something major broke, I wouldn’t have the funds to replace it — a refrigerator or a heat pump or a stove,” she said. And accessing the reserve funds can be a lengthy, bureaucratic process, Ballard said. Many Section 8 properties pay into a reserve fund each month, but they must get approval from HUD to access the money. With 95 percent of the workforce furloughed, the agency is extremely short-staffed. On Wednesday, HUD sent a message to owners of properties whose contracts had expired, or were expiring in January, providing more detailed instructions on how to request reserve funds “if your property is not receiving payment or is experiencing an emergency situation,” according to HUD emails, which the department also forwarded to affordable housing groups and industry associations. But not all the affected properties have adequate reserves to draw upon, said Couch, with LeadingAge. “What’s the emergency relief mechanism for those communities?” she said, noting that Section 202 landlords are exclusively nonprofits that don't typically have easy access to outside capital. House Democrats have begun investigating HUD’s management of the shutdown, criticizing the department’s “failure” to salvage the expiring contracts ahead of time and questioning what happened to $400 million in backup funding for the Section 8 rental assistance program. HUD has provided just a “slow trickle of information” about the contracts, which has made things harder for landlords and tenants alike, according to Janel Doughten, associate director of the B’nai B’rith International Center for Senior Services, which has provided Section 202 housing for decades and operates properties from Arizona to New Jersey that house about 5,000 residents. “It creates a sense of panic,” said Mark Olshan, the center’s director and associate executive vice president of B'nai B'rith International. “If I go to my manager and say, 'What’s happening?' they say, ‘We don’t know — we can’t get ahold of our HUD office.' "
Brown, the HUD spokesman, said earlier in the week that the agency was working hard to find money for the properties whose contracts had expired. In its Wednesday email to affected property owners, HUD said that once funding was restored, they would be reimbursed if they had drawn from their reserves. Since nonprofit organizations are mission-driven, they are especially dedicated to ensuring that their residents are able to stay in their homes, Couch said. But the shutdown could force them to make painful choices. “In the worst-case scenario, they will have to question whether or not they can stay in the affordable housing business,” she said. That could mean even fewer options for poor senior citizens. The waiting list for San Jose Manor II Apartments is already one year to one-and-a-half years long, according to Ballard, who said that if residents were forced to leave, they wouldn’t have anywhere else to go. “They would live on the street,” she said. “There’s nothing for them." CORRECTION (Jan. 11, 2019, 3:36 p.m.): An earlier version of this article incorrectly described HUD’s Section 202 program for low-income senior citizens. Section 202 does not solely fall under HUD’s Section 8 Project-Based Rental Assistance program; it falls under both Section 8 and a HUD program known as Project Rental Assistance Contracts. Suzy Khimm is a national reporter for NBC News, focused on investigating federal agencies.